Albert Campi (left) founder of naRural Energy, and Nohelis Ruiz (right) founder of Planchic, both eco-entrepreneurs from Incubaeco. BIZ Barcelona is an annual fair that gathers all the main players in the SMEs (Small & Medium Enterprises) and Entrepreneurship ecosystem both from Barcelona and across the world. This year, Incubaeco we have been invited to the fair, through our key partners of Barcelona Loves Entrepreneurs, to take part in a round table among our colleagues of the incubators/accelerators sector in BCN, to discuss about the strong points and areas of improvement for Barcelona to become a world-class entrepreneurial hub. From our side, of course, we’ll bring the sustainability angle to the table and how environmental and social value can be created and scaled through profitable companies and business models. • Albert Campi from naRural Energy, an online community to promote renewable energy solutions for rural farmers (Incubaeco 2014). 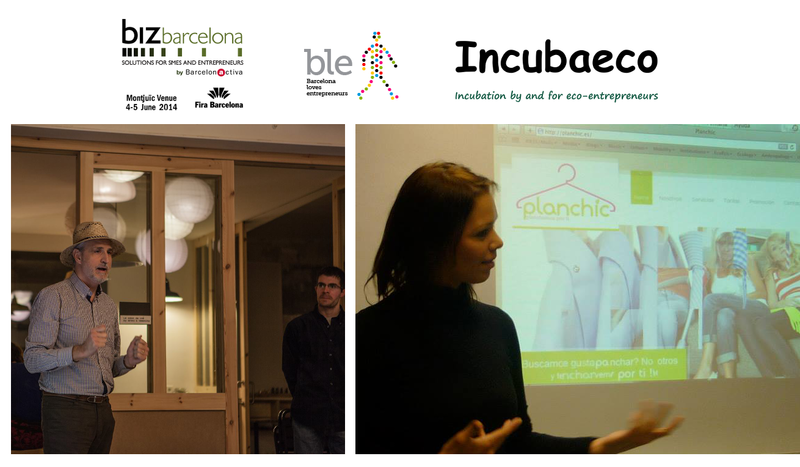 • Nohelis Ruiz from Planchic, an ecological and responsible ironing company (Incubaeco 2012).